The junior game was a back and forth game with the St Vital Mustangs taking the championship 40-18 over the Eastside Eagles. Congrats to the Mustangs for their second JR championship in a row. The senior game was dominated by the St Vital Mustangs, however the Eastside Eagles never gave up. They played with determination and guts and scored a touchdown late in the 3rd quarter to get some numbers on the board. Congratulations to the St Vital Mustangs Sr girls team for their second championship in a row. As well, Congrats for being the CTV sport stars of the week.  Also, a shout out to our two senior teams in the consolation bowl, the St James Rods and the North Winnipeg Nomads. The final score was in favor of the Rods 34-25 over the Nomads. This year we were lucky to have Kate and her crew out from Aviva, to award our outstanding players with beautiful jackets from Aviva. Both the Sr and Jr Championship will be held at St Vital Mustangs this Thursday and they will be taking on the SR and Jr Eagles! Jr's Kick off at 6:30 and Sr 7:30. The consolation final will be held at the Rods against the Sr Nomads 7:30. Good luck to all the teams!